An innovative series of affordable, luxury espresso/cappuccino coffee machines. The standard Contempo model boasts a stainless steel finish that shines like polished chrome. The design of the machine reflects a modern interpretation of style that makes for a stunning, yet timeless focal point in any café, bar or restaurant. 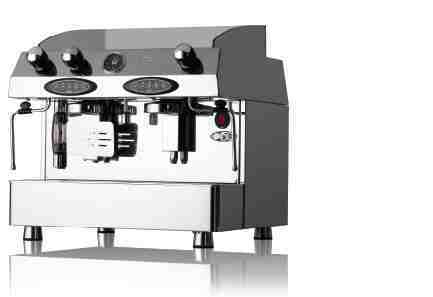 Fracino’s Contempo machines are semi-automatic or electronically controlled. They are available with 1, 2, 3 or 4 groups for making coffee and each machine has a hot water facility and steam tube for frothing and steaming milk. All have large capacity boilers, high-powered elements and are hand built to the highest standards, using only the finest stainless steel, copper and brass. Standard clearance is 125mm and the high group (latte glass) option is 150mm. Espresso tray and cup shield as standard on all machines.